The recent ‘one room, three ways’ project, and collaboration between designers and local suppliers, by interior design talents at inCollective, exploring how one room can achieve different looks working with different budgets. 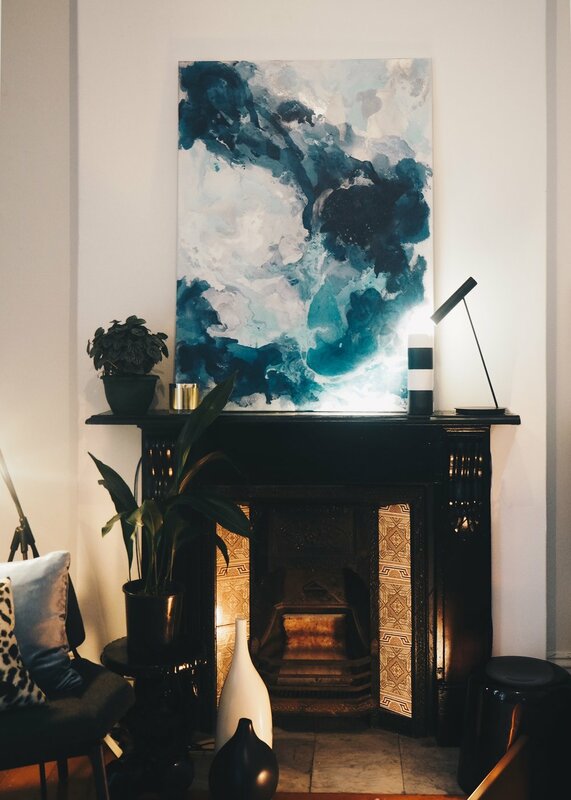 For her ‘Lavish Eclectic Lifestyle’ room, inCollective designer Anya used one of the bold pieces from David to sit above the fire place to really bring the focus in the room at eye level. The beautiful, seas inspired piece added a touch of contemporary glamour to this eclectic inner-city room.Their designers are experts at finding creative interior design solutions for any space and they work with a network of highly experienced interior designers, architects, and local craftsmen ready to help you with your next project, no matter the size.